Projects are the part of the curriculum that involves children in investigating objects and events around them that are worth knowing more about. Project work is a way of uncovering a subject rather than just covering it. Doors are so much a part of our daily lives that we tend to take them for granted. But once we begin to look, we become aware of the variety of doors around us—car doors, bathroom doors, pet doors, microwave doors, barn doors, garage doors, revolving doors, cabinet doors, storm doors. There are also many gates to be seen, such as toddler gates, tailgates, turnstiles, and many more! Doors and gates are made of a wide range of materials. Important principles of physics and engineering are involved in designing and building them, and they are made to withstand a number of natural forces that might affect them, such as wind, extreme temperatures, and gravity. Doors and gates serve many purposes in the lives of children and their families. Many young children can become interested in them and their diverse features—the opening and closing of elevator doors, the workings of a latch on a pasture gate, the way a front-loading washing machine door keeps water and suds from leaking out. Figure 1. Young children are likely to be familiar with a wide range of doors and gates. A project about doors and gates has the potential to engage most preschoolers from the very first conversation about the topic. Many types of doors and gates can be found in any home, school, and community, which makes the topic well suited for programs in which children cannot make site visits far from school. They can do much of their fieldwork at school and at home. A project on doors invites children to “find the extraordinary within the ordinary.” It is the kind of project that can strengthen children’s motivation to better understand the world around them, even the parts of it that seem most familiar. This slide show by Illinois photographer Durango Mendoza suggests the wide variety of doors and gates that might become part of the project. Slide Show of “From Door to Door” by Durango Mendoza. An investigation of doors and gates could also work well as a first project for very young children who have not done project work before. For tips on ways to facilitate a brief “practice” project, see the article “Teaching Project Skills with a Mini-Project”. This guide includes ways that investigating doors and gates can address Illinois Early Learning Benchmarks in all learning areas (see Appendix A). Any phase of the project can include activities related to physical development and health, social and emotional development, science, social studies, language arts, mathematics, and fine arts. This Project Guide outlines possible steps to take to engage preschool-age children in a project about doors and gates. Please keep in mind that this guide offers suggestions, not lesson plans or “recipes.” Not every activity suggested has to be included in a project. The way the project develops will depend on several factors—the program’s location, the time and resources available, as well as the children themselves. Their ideas about what directions a study of doors and gates might take are likely to emerge as the project progresses. Many other worthwhile experiences are possible beyond what is suggested here—and often the children themselves come up with related ideas to pursue. Preschoolers are likely to have a great deal of data about doors and gates! They may have noticed how the school bus door works. Their families may use “toddler gates” to keep younger siblings safe. They may know someone whose finger has been pinched in a cabinet door. Preschoolers can easily be encouraged to look more closely at the doors and gates that are all around them: How do people use doors? What are they made of? Who makes them? What are some different kinds of handles? Are there windows in the doors? Children’s curiosity about and interest in doors might take the project in directions the teacher might not expect! Picture books and counting rhymes sometimes mention doors and gates in ways that are memorable to children. Before starting the project, it is helpful for the teacher to explore available local resources and potential sites where children could safely study a variety of doors and gates. The school building itself is likely to have several kinds of doors, and more can be found on vehicles parked nearby. Nearby offices, shops, supermarkets, places of worship, health care facilities, farms, museums, and similar places may also be worthwhile sites to visit. Historical sites (especially those with restored older buildings) may also have interesting doors and gates. It’s a good idea to find out if the staff of these places will be receptive to having young children visit. Local architects, contractors, cabinetmakers, auto-body repairpersons, locksmiths, and others whose work involves doors and gates can be invited to help the children with the project in a number of ways. Draftsmen or architects who are familiar with computer-aided drafting software may be willing to help some of the children use the software to design spaces with doors or gates. If the classroom budget permits, the teacher might want to check local secondhand stores or flea markets for inexpensive used door and gate hardware that can be cleaned up for the children’s use. Printed materials such as catalogs or sale flyers from local hardware or home improvement stores may also be useful. Before launching the project, it helps if the teacher takes a walk to look in and around the building where the classroom is located, taking note of the various doors or gates that children can see there. Walking for a few minutes around the neighborhood may also turn up some additional examples. It’s a good idea for the teacher to take photographs to show the class. The children may recognize some of the doors or gates and have experiences or ideas to share about them. The teacher might also bring some small doors (such as cabinet doors or doors from building sets) and samples of keys, locks, and other door hardware for the children to examine and discuss to provoke their initial interest in the project topic. Businesses such as a locksmith or hardware store may be willing to lend or donate some items. Figure 2. Door hardware may engage children’s interest. Teachers usually find it helpful to make a topic web before beginning the first phase of the project with the class. Below is an example of a teacher’s topic web about doors and gates. Figure 3. Making a topic web before the project starts can help the teacher begin to anticipate what children might do and find out during the investigation. The teacher’s topic web can include elements such as types of doors and gates found indoors and outdoors, materials used to make different kinds of doors or gates, purposes of doors and gates, safety features of doors and gates, how people design and make doors, and the functions of various types of hardware, including keys and locks. The teacher’s web may also include specialized vocabulary related to doors and gates, as well as possible sites to visit and experts to invite. Once the project is underway, the teacher might decide to make some changes to the initial web based on what he or she learns about the children’s interests, understandings (as well as mis-understandings), and knowledge of the topic. As the project begins, teachers can collect some good-quality references and other sources of information for their own use as well as to share with the class. A librarian can help with this process. Nonfiction picture books, encyclopedias, cabinetry catalogs, videos, and magazines related to architecture, home building, interior design, home improvement, and automobiles are likely to be useful throughout Phase 1 and Phase 2 of a project about doors and gates. Local historical societies or nearby natural history museums may have resources related to doors and gates from the past that teachers can check out. Blueprints of the school building can show children how architects and contractors represent doors and may even help children locate some of the doors in the building. The main purpose of documentation is to tell or represent the story of the project so others can see what occurred and so that the children can revisit it too. It’s a good idea for the teacher to decide before the door project begins how to document the children’s work during each phase. Many aspects of documentation during a project on doors and gates will be similar to documentation for any other project. On the other hand, as children find out more about the doors and gates in the classroom and the school, the doors themselves can become the focus of some of their documentation. For example, children may want to attach labels to a door naming its parts for visitors to see. Provide each child with paper, a clipboard, and black markers or pencils to take with them for an evening or over a weekend. Suggest to the children: “When you get back to where you live, take a look around and sketch the doors and gates that you see there.” (For ways to help children get started with sketching and drawing, see “Helping Children Sketch and Draw from Observation”.) Include a note to families explaining the homework. When the children return, invite them to share their drawings with their classmates. It often helps for the teacher to ask children before the class meeting what they want to tell the group so that they can rehearse what they want to say. Give children opportunities to compare the many things they have drawn. For example, which ones were indoors? Outdoors? What shapes were the doors they saw? Which ones had windows? Locks and keys? Which ones had round handles? Straight ones? Some of the children may be reminded of personal stories that are unrelated to the sketches: “We had to get a new pasture gate after the river flooded.” “One time our cat climbed on the screen door, and her claws got stuck.” The teacher can invite the class to continue sharing memories over several days. To include children who are slow to recall their experiences, or who may be reluctant to speak, they can be invited to do so several times. The teacher might tell one of his or her own experiences as well. Asking children to draw or paint something that they recall about doors or gates is another way to help them share their memories. The teacher can then write down the children’s dictated memory stories. These stories and drawings can give an idea of what sorts of experiences children have had, as well as what misconceptions they may hold and what subtopics may interest them. Sometimes listening to a book related to doors or gates can remind children about their own experiences. The slide show in the previous section, which shows a wide range of doors and gates, might also spark discussion among the children about the topic. The next step might be for the children to walk around the school building (inside and out), where they can closely observe cabinet doors, appliance doors, interior and exterior doors, gates, locks, etc. If possible, the walk can be extended to include the neighborhood. If enough adults are available to help supervise them, small groups of the children (three or four per group) can walk in different directions to find doors. If too few adults are available, one teacher or an assistant can take three or four of the children at a time while the others remain with another teacher in the classroom or on the playground. Have the small groups stop occasionally to talk about the doors and gates that they have noticed. Let each child carry a clipboard, some drawing paper, and a pencil and encourage them to sketch what they observe or to take photographs. Make time for the group to measure doors and gates using standard or nonstandard methods. Remind the children that later on they will be asked to describe what they have observed to classmates who were not with them. Invite them to talk about some things they noticed about the doors and gates they saw (colors, textures, size, shape, writing on the doors, etc.). Suggest comparing the children’s sketches from home with what they drew at school. What do the children already know about doors and gates? What would they like to find out about various doors and gates? Whom do they think they could talk to about doors and gates? What places could they visit to help them find out more about doors and gates? As the children talk about what they know, what they think, or what they wonder about, the teacher can write the words directly on the topic web paper or on a sticky note. Very young children, or children who have little experience with projects, might not say much at first during the webbing process. From time to time, the teacher may want to remind children of things they said during earlier conversations about their memory stories and drawings. Figure 4. This example of a class topic web for the project “From Door to Door” was made using sticky notes on easel paper. Making the topic web may take more than one group meeting session, depending on the children’s ages and the range of their experience with the topics and with webbing. When it seems that the children have offered all of their current ideas and questions about doors, the teacher can invite them to help categorize or group the sticky notes. For example, if several sticky notes are related to car doors, the children might group them separately from sticky notes about garage doors or locks and keys. Does every door in the school have a lock on it? No, because the restroom door doesn’t lock. How do car doors stay on the car? Because wires hold them on. Strong magnets are keeping them there. How do bus doors open and close? The bus driver pushes a metal stick and that makes the doors open. People push on the doors. How come the grain elevator has a door high up off the ground? Because people need to get out of there, and they can use a rope to get down. Table 1. A question table may be created by hand or on the computer. For more information about making and using a question table, see Lilian Katz’s blog entry titled “The Question Table” on the Illinois Projects in Practice Web site. Encourage children to ask questions when their classmates report findings from fieldwork during Phase 2. Write new questions on the question table as the children raise them during fieldwork. Suggest other ways that the children might express their questions (for example, drawing a picture of something that they are curious about). Predicting possible answers and sources of information is another important part of project work that can begin during Phase 1 and continue throughout the project. When a child asks a question, the teacher might ask that child, or the whole class, “What do you think the answer might be?” or “What do you think the visiting expert will say when you ask her that?” Occasionally the teacher can ask “What makes you think so?” to encourage children to explain their predictions. Children may also want to make drawings that represent their predictions. Which books or other resources do they think might help them answer a specific question? If several children show interest in the same question about doors or gates, they can form a subtopic group to try to find answers to the question. Another approach to subtopic groups is for the teacher to ask a small group of children to focus on a particular door, gate, or type of hardware. For example, several children might want to find out all they can about baby gates. Three or four others might investigate the tools used to install doors, while a few may be curious about doors to ovens, refrigerators, or other appliances. Use what one knows about the children’s social relationships when subtopic groups are forming to help guide subtopic group formation to increase the chances that members of each group will be able to work well together. Work with each group to help the children decide what they might do to get the information they need. For example, the subtopic group that is interested in hinges will benefit from particular references, experts, and site visits. A group that is trying to find out how revolving doors work will probably need to use different resources. Encourage family members to make their own sketches and photos of doors and gates for the children to bring to school. Ask for specific help from family members. Are they willing to come to class to share interesting experiences related to doors or gates? To talk about making or installing doors for a job or hobby? Suggest that family members help children recall their experiences with doors and gates. Invite family members whose home language is not English to tell the teacher or teach the class words in their languages that are related to doors and gates. Suggest that, from time to time, parents informally ask their children to talk about what they have found out recently about the topic. Arrange for children to investigate doors, gates, etc., in a variety of settings—indoors, outdoors, in school, at home, in businesses, on cars in the parking lot, in restaurants, in museums, and so on. Suggest that small groups of children focus on particular kinds of doors (for example, sliding doors, automatic doors, revolving doors, hatches, or security doors) or gates (for example, turnstiles or baby gates). Provide children with clipboards, paper and pencils, and cameras, if available. Offer magnifiers so children can take a close look at textures and construction features (such as doorknobs, hinges, etc.) of the doors, gates, etc., they encounter. Give each group time to sketch and photograph doors or parts of doors. For example, the children might want to sketch many door handles to record the similarities and differences among them. Provide crayons and paper so that children can make rubbings to show surface textures of various doors and related objects. Suggest that children collect artifacts related to doors. For example, a child might ask a parent to lend the class a level that she uses when installing doors or to pick up a sale flyer featuring doors and gates from the home improvement store. notice whether specific doors or gates open into a space or outward from it, and to talk about why it works that way. notice colors, textures, and other properties of the materials used to make doors and gates. list different types of materials used to make an object (for example, a gate might be made of wood, metal mesh, and solid metal). pay attention to the hardware and other materials used to make or install a particular door or gate (for example, bolts, screws, glue). use a tape measure, Unifix cubes, or nonstandard measuring tool to measure such things as the height and width of a gate, how high off the floor doorknobs are, etc. keep a record of such things as the number of locks on various doors or the different kinds of doors in the school building. notice unusual or identifying characteristics of particular doors or gates—vehicle doors and hatches, closet doors, turnstiles, elevator doors, etc. notice safety features of various doors and gates, such as locks, safety glass, etc. People who design doors and gates for buildings, vehicles, boats, etc. People whose work involves locks, keys, etc. Arrange the visits, perhaps with a few of the children helping to make an invitation or dictate an email message. Suggest that children draw or dictate their questions for the expert prior to the visit. Help them rehearse their questions to make the best use of the expert’s time with the class. If necessary, a class may be able to conduct their investigations without leaving the school building or grounds. However, visits to sites away from school via bus or car can provide valuable opportunities to study types of doors and gates not available at school. The teacher might want to keep in mind that site visits should be made by subtopic groups as much as possible. When children in a subtopic group have decided what their questions are, the teacher can help them to decide where they might go to find the answers: A park? A farm? A bank? The local historical society or museum? Occasionally, a whole-class visit to a site (a door factory or museum, for example) can be useful, particularly if each child or small group of children has specific data to collect. On their way to a site visit, children can examine the doors on the cars, buses, or trains in which they are traveling. On outdoor site visits, the teacher may want to remind the class to follow the usual safety procedures for outdoor activities (for example, wear sunscreen, avoid poison ivy, dress warmly in winter, do not litter). It is a good idea for the teacher to remind children to ask permission to touch things or to collect artifacts during any visit. Invite families to add to the classroom collection. Suggest that children gather related items from home (with parents’ permission). Ask owners of local shops, etc., to lend the class some door-related items. Set aside a specific part of the room for the collection to be kept. As children add to the collection, the teacher can help them label each item with its name, the date it was collected, where it was collected, and the name of the person who provided it. Children may be interested to know that the term for such documentation of artifacts is “provenance.” Some teachers use boxes with dividers to organize smaller items with their provenance. Figure 5. Boxes with dividers can hold smaller items in the collection. Teachers may also want to bring in items to add to the collection, especially if there seem to be “gaps” (for example, no hinges or locks). Children should have many opportunities to examine items in the collections and to make observational sketches and drawings of them. As children learn more about doors during Phase 2, they may have questions that can best be answered through planned scientific explorations or experiments. Such activities may include closely examining items in the collection, trying out different designs for doors, gates, hatches etc., and setting up experiments. Call children’s attention to new items that are added to the collection. Offer magnifiers so children can examine the collected items closely. Ask them to describe what they notice—textures, smells, colors, sounds, etc. Provide balance scales, spring scales, tape measures, etc., so children can weigh and measure the items in the collection. Let children take some items apart to see how they work. Various locks and other mechanisms may be especially interesting to the children. Invite them to sketch or photograph what they observe. Extreme close-up “macro” views can be an interesting challenge for some children. Suggest that children add their sketches and photographs of items in the collection to a display or book that tells the story of the project. Ask them about the purpose of the objects they want to design—a door to keep water and laundry inside a washing machine? A deadbolt? A gate for a dog run? A revolving door? A triangular tent door? Offer a wide range of construction materials for the children to choose from—large boxes, clay, pieces of untreated wood, wire, pipe cleaners, plastic interlocking blocks, drinking straws, paper clips, “boxes and junk,” fabric, netting or screen material, commercial construction sets (for example, Lego or Tinkertoys), magnets, a variety of fasteners. Talk with individuals about the materials and tools needed. What materials does a child think might work well for making the door she has designed, and what makes her think so? Help children think through how to change their plans if the materials they want to use are not available or have not worked as well as they expected. Arrange for parents or other volunteers to assist the children with tasks such as drilling or nailing. Talk with the children from time to time as they test their designs. Find out how they are dealing with such problems as balance, movement, and the sturdiness of materials. Invite them to talk about their designs during class meetings. Which material will make a stronger model of a gate—wood, plastic, or heavy cardboard? What are some ways to test the gate’s strength? Is it possible to make a dollhouse door that opens and closes properly but has only one hinge? Can a fan blow hard enough to make the classroom door blow shut? Can the same fan blow a car door shut? For an example of how one teacher facilitated children’s explorations and experiments, see “Magnets and Cars”. Introducing New Vocabulary: Learning words to accurately describe various doors and gates and their parts will be valuable to children’s growing understanding of the topic. The ages of the children involved may affect what words and concepts they learn and use. Subtopic groups may also learn some specialized vocabulary. For example, a group studying car doors will probably hear and use words such as shell, relay, molding, and door check. The following list includes some terms that children might encounter during a project about doors and gates. Some of the terms will be useful and some may not, depending on the questions the children address. The teacher can help the class find and record the definitions. Some older preschoolers may want to explore different uses of the words “door,” “lock”, “gate,” and related terms—for example, indoors, outdoors, doorman, door prize, bar the door, locked up, locked in/out, gatekeeper, starting gate, or down the hatch. Some children may be interested in print messages found on doors and gates, including room numbers and such words and phrases as “Open,” “Exit,” “Emergency Exit,” “Keep Out,” “Danger,” “Please Use Other Door.” The teacher can encourage them to use these numerals, words, and phrases in their drawings and to find out the purposes of those messages. 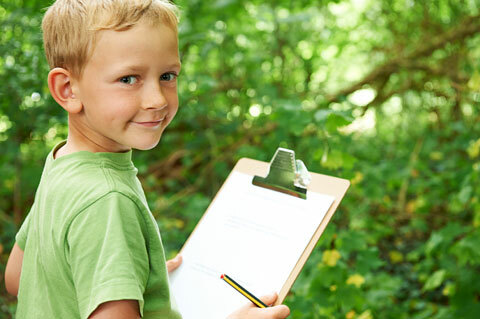 Encourage children to label the parts of their field sketches, drawings, and photographs. Invite them to make lists of the words and numerals they see on doors and gates during fieldwork. Help them add their own labels to professionally made schematic drawings (such as a drawing of the inside of car door). Suggest that some of them dictate or write the “story” of what occurred during a site visit. This activity can be done at group meeting so that children can compare their own recollections with those of their peers and decide what happened first, last, etc. Let them dictate or write thank-you notes to visiting experts, the librarian, parent helpers, and others who assist with the project. Invite older preschoolers to explain complex concepts and relationships between objects as the teacher writes their words. For example, if a child says, “A gate is more open than a door,” the teacher might ask her to explain what she means. books and other resources that label parts of doors, gates, hatches, etc. books and other resources with information about jobs related to making, installing, and repairing doors, gates, etc. reliable Web resources that may address children’s questions about doors, etc. Use standard and nonstandard measurement tools to measure and compare the height and width of various doors, gates, etc., in the classroom and elsewhere. Cardboard brick blocks, Unifix cubes, clothesline, and measuring tapes are among the items that children may want to use to measure. Investigate symmetry in doors and doorways. Make charts or graphs of findings to show comparisons among various doors and gates—their shapes or sizes, the types of materials used, etc. Keep a record of the shapes of the doors or gates they see. How many are rectangular? Square? Triangular? Round? Sort and categorize tools, door hardware, keys, and other collected artifacts. Select photos or sketches that illustrate comparisons among types of doors and gates (for example, the widest gate and the narrowest gate). Find out how long it takes (months, weeks, days, hours) to make or to install a screen door, a security grille, a gate, etc. Develop a “time line,” storyboard, or set of cards showing the sequence of steps for processes such as installing a door, a doorbell, etc. Use protractors, flexible curves, and similar tools to investigate curves and angles in the design of various doors, door hardware, etc. Conduct surveys of classmates and family members that ask questions related to doors and gates. Children can tally and report their results. Lay butcher paper on the floor under a door and tape a pencil to the door’s outer edge at the bottom so that it touches the paper. Predict what kind of line it will make when the door swings—a straight line? A curve? A zigzag? Test the predictions. What happens when the pencil is taped to another part of the bottom of the door? Experiment on doors of different sizes and compare results. Some older children may want to observe an architect or draftsman using drafting software to design spaces with doors, gates, and hatches. Make maps or floor plans showing where doors are located in some familiar spaces such as the classroom, the playground, or a local business. Children may also want to find out how the placement of the doors affected furniture arrangement, etc. Create a display of their photographs and sketches of doors and gates, which children can label with the location and other information about the photographs. Keep a list of the different uses people have for doors or gates. Look at books and other resources that show a variety of doors and gates from around the world. Compare the different types of doors and gates used in different places. Ask family members who have lived or traveled outside the United States to share photographs of doors and gates from the places they have been. Do the same with types of vehicle doors. What sorts of doors or gates do people use (or see) at home? At work? When they travel? Do people have furniture at home that has doors? How do people decide what kinds of doors or gates they want to have? What goes into their decisions about doorknobs, doorbells, door knockers, etc.? How do people decide how much money a door should cost, or a doorbell, etc.? Share art prints, children’s book illustrations, and artists’ Web sites that depict doors and gates. Encourage the class to discuss the different ways that artists, artisans, and illustrators represent doors and gates—their uses of color, line, and other artistic elements to convey information or feelings. Examples include Viktor Hartmann’s painting of the Great Gate of Kiev, Shonto Begay’s In My Mother’s Kitchen or Free from the Tethers of Motion, Edward Hopper’s Artist’s Bedroom in Nyack, Henri Matisse’s Interior at Nice, Vincent van Gogh’s The Yellow House, and Claude Monet’s series of Rouen Cathedral at different times of day. Show the class photographs of doors designed by well-known architects such as Frank Lloyd Wright or Louis Sullivan. Invite children to talk about aesthetic elements in the design of various doors: What do they find “beautiful” or appealing in the design or decoration of a particular door? Let them use multiple media to represent a special door they would like to have for their home or classroom. Suggest that small groups of children decorate a school door to look like a unique door that they found interesting during the project (for example, a barn door or the entrance to a local historical site). Offer crayons or chalk and paper so that children can make rubbings of keys, hinges, screens, and other small items related to doors and gates. Photocopy children’s various representations of doors, gates, and related items for them to cut out and assemble into a collage. Talk with the children about sounds that are associated with doors (for example, the click of a lock, the squeak of a hinge, etc.). What do they think causes those sounds? Invite the class to compose or improvise their own music using parts of doors and gates or by imitating the sounds using their own voices. Suggest that children work in small groups to find ways they might move their bodies to represent doors, gates, etc., or to pantomime closing or opening doors. Invite children to create a performance involving doors—opening and closing doors, climbing on a gate, hiding behind a door, installing a door, getting fingers caught, etc. Ask children to share their ideas about how doors and gates help people be healthy and safe: How do specific doors or gates provide privacy? What are some ways that they protect people (or their animals or belongings)? Encourage them to talk about how to use doors and gates safely. Help children notice that words on some doors may contain safety messages (such as “Keep Out” or “Not an Exit”). Some children may want to make posters about door safety. Introduce children to built-in safety features of doors, such as deadbolts, shatterproof glass, etc. Show them doors that have been specially made for protection, such as fire doors, security grilles, or hurricane-proof doors. Find an expert who would be willing to answer questions about how people try to make doors and gates safe when they design and build them. The teacher might also help the class address such questions as, “What does a person’s body do in order to close a door? Open a door?” Children can take turns opening or closing various doors (heavy ones, lighter ones, automatic doors) so that classmates can observe what is involved in the process. It’s a good idea to make time for subtopic groups to report to the class regularly about how their investigations are progressing and what they have found during fieldwork. It can also be an opportunity to ask their classmates for suggestions and questions they might have about the subtopic. Have the small groups briefly rehearse what they want to say before they report. Help the children “tune in” to differences and similarities that they have observed among doors, gates, and other items they are studying (for example, materials used, location, purpose, sizes, shapes, structure). Suggest that children use any new terms they have learned during their fieldwork and explain those terms to their classmates. Refer children to the question table: Does this group’s report include some answers to earlier questions? Encourage shy or reluctant children to talk about what they have observed when they feel ready. Suggest that children talk to each other about their ideas, findings, and questions. Send home small kits of construction toys, with notes asking family members to work with their children to create models of doors. Create “homework” that asks children and family members to list or sketch various doors in the neighborhood or at home. Create some homework to encourage families to find out together about doors in the community. For example, children and parents could count the number of doors in a restaurant near home, or they could sketch the doors they see in a movie theater or on a delivery truck. Ask family members to bring in photographs of doors that they have seen on their travels away from the community. Remind family members to look at “From Door to Door” documentation that is displayed in the classroom. Suggest that family members help out with site visits or with supervising and assisting children who are making models of doors or gates. Invite family members who build, install, or repair doors to serve as visiting experts. Have children ask their family members survey questions related to doors and gates (for example, “Did you ever fix a broken door?” or “Do you have a locker at work or at home?”). For more ideas about surveys in project work, see “The Project Approach: Children Taking Surveys” and “Helping Children Take Surveys”. Ask families to send in clean reusable items (“boxes and junk”) for children to use when constructing models of doors and gates. Ask families to lend the class some tents with a variety of openings for indoor or outdoor play. Revisit the question table with the class. Facilitate children’s use of their new knowledge in their play. Assist with plans for displaying their documentation. Work with them on plans for a culminating activity. Invite families to participate in a variety of ways throughout Phase 3. It is important to keep in mind that a culminating activity may be very simple or more elaborate. Much will depend on the topic, the children’s ages and experience, and the resources (time, materials) available. There is no single right way to end a project. Which questions have they answered? How did their predictions compare to their findings? Which questions are still unanswered, and what might be done to find answers? Do some of the children seem to misunderstand anything about the topic? What might be done to address their misconceptions? The children may also want to contact some of their visiting experts or consult books and other references to answer remaining questions or to clear up misunderstandings. Share action songs and fingerplays that include lines about doors (for example, several counting songs rhyme “four” with “door” and “eight” with “gate”). Read or tell older preschoolers some simple “knock-knock jokes,” and encourage them to share the jokes with their families and friends. Teach games that involve doors in some way (for example, “Colored Eggs” is an active game that involves pretending to knock on a door; The Secret Door is a commercial board game for young children). Encourage children (especially older preschoolers) to create their own active games, guessing games, or board games that incorporate what they have learned about various doors and gates. Provide materials for children to make models of doors and gates, door parts, and repair tools to use in dramatic play—blocks, construction toys, boxes, etc. Suggest making a full-sized door or gate from cardboard or other lightweight material to use in the dramatic play area. Have children plan displays that “tell the story” of their work—their questions, the data they collected, and what they were able to find out about doors and gates. Encourage them to think of creative ways to display their documentation. Ask the subtopic groups, “What are some ways that you could share with other people what you found out about doors and gates?” Help them record and refer back to their ideas. Help the subtopic groups select drawings, photographs, 3-dimensional models, and other items they have made for display. As children complete their representations of specific doors or gates they have seen, ask them to photograph their representations and the original door or gate. Both pictures can be arranged side by side on paper, with labels, as part of a class book about the topic. Let the children write or dictate captions for their work. Suggest that they include specimens and artifacts that they collected, such as parts of doors, tools used for making or installing doors, catalogs showing doors, and so on. A key decision for the subtopic groups is how best to share their new knowledge, understandings, and skills with others. The children may then decide as a class that they want to take on a complex final activity, such as putting together a performance or hosting an event when others can view displays of their work. They might prefer to plan a less-complex final activity such as making a slide show for the school Web site or a book that can be passed around among families. Some groups may be able to handle these decisions with little teacher input; others will benefit from some adult guidance. As needed, inform the children of limitations such as time, space, and money that may affect what they can do for culminating activities. Introduce the work of local and widely known artists and artisans to inspire children to express ideas and feelings about doors and gates. For example, Illinois artist Gerald Guthrie often uses doors in his mysterious, surreal images. (See A Blessing in Disguise.) The Massachusetts Museum of Contemporary Art Web site offers teacher materials related to an exhibit of doors. Other unusual images that feature doors or gates include René Magritte’s The Unexpected Answer or The Balcony and M. C. Escher’s Relativity, Balcony, or Waterfall. Help the children find out about artists who treat doors or gates as art. Let the children represent something of particular interest to them related to doors and gates. For example, Rashad may want to arrange the door keys he has collected into a pattern and glue them on a piece of wood, while Martina would like to make up a song about doors in her house. The teacher can consult with children about what they want to do and provide the fine arts materials such as wood, foam core, paints, clay, wire, and other media needed for these projects. Share picture books with the children that include poetry and fantasy stories involving doors and gates. Suggest that the class act out stories that involve doors and gates. Invite children to create their own poetry, music, original stories, or dance related to doors and gates. Figure 6. Illinois artisan John Bryan mounts old doorknobs on finished wood to create useful objects. Let children create invitations to family members to view the displays of documentation. Display photos, sketches, or models made by family members along with items the children have made. Include family members’ photos and sketches of doors and gates along with their words in a class book about the project. Provide volunteer opportunities for family members during preparation for the culminating activities (for example, helping children type their poems or stories into a computer for publication). Invite parents to reflect on their children’s participation in the project (for example, by asking them to use “comment cards” next to different parts of the children’s display). This Project Guide is meant to suggest possibilities, to support the teacher who wants some ideas for ways to get started with a project like “From Door to Door,” or to help maintain momentum once an investigation is underway. It is important to remember that the children themselves are likely to find many worthwhile ways to investigate doors and gates. In fact, as children pursue what interests them, any project may end up with a main focus very different from what was originally expected. A study of doors and gates could become just a small part of some other topic that engages the minds of many children in a class. “From Door to Door” slide show and additional photographs by Durango Mendoza. Permission for photographs from Wolfe Orchard, Monticello, Illinois, given by Ron and Hope Wolfe. Permission for photographs of doorknob art given by John Bryan. Permission for photographs of appliances and hardware given by Lowe’s of Champaign, Illinois. Permission for photographs of emergency vehicle given by Urbana Fire Rescue Services Department. Photographs of locomotives and railroad cars taken at Monticello Railway Museum by Durango Mendoza. Thanks to Becca Johnson for document review. The following list suggests some of the benchmarks from the 2013 Illinois Early Learning and Development Standards that might be addressed during a project on doors and gates. children comment on classmate’s findings. children make comments or ask questions during discussions about doors and gates throughout the project. children negotiate roles during dramatic play that is related to what they are learning about doors and gates. children talk or correspond with experts on the topic of doors and gates. children discuss books and other resources about doors and gates with classmates and teachers. children report to the class about what they have done during field work, answering questions from classmates and teachers to clarify what they have said. children develop a list of their questions about doors and gates. children ask about and begin to use specialized vocabulary related to doors and gates that they hear during field work. children accurately use new vocabulary related to doors and gates into their conversations, questioning, labeling, dictations, dramatic play, and representations of what they have learned. children use books to find information about doors and gates. children create books to report what they have learned about doors and gates and share the books with classmates and others. 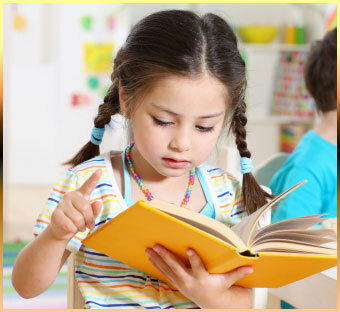 children create books that include their original stories or poems related to doors and gates and share the books with classmates and others. children listen to and tell stories that involve doors and gates. children look at diagrams, instruction sheets, and schematic drawings related to doors and gates. children find printed words, numerals, etc., on the objects they are studying, such as manufacturer’s labels. children sing songs related to doors and gates. children learn and tell “knock-knock” jokes. children discuss the various ways that artists depict doors and gates in books, paintings, drawings, sculpture, etc. children illustrate their own books involving doors and gates. children use nonfiction books as sources of information about doors and gates. in large or small groups, children discuss what they want to find out about doors and gates. children actively investigate many aspects of doors and gates. children use newly acquired knowledge when they illustrate, dictate, or write their findings and ideas related to doors and gates throughout the project. children count items they observe (knobs on a door, doors in the school, etc.). children count items they will need for their representations, such as pieces of wood to make a model of a gate. children count out items (photographs, drawings, artifacts) to be used in displays. children create models or other representations that include correct numbers of parts such as panels, hinges, latches. children describe or discuss differences and similarities in length, height, and weight of various doors and gates they have seen during field work. children discuss differences in size and weight of various types of door and gate hardware (hinges, bolts, etc.). children investigate how long it takes to build or install a door or gate. children discuss or make drawings that show the ways various doors and gates are similar to or different from each other. children sort collected items such as bolts, screws, keys, and locks when making real graphs, Venn diagrams, etc. children use drawings to illustrate differences among various doors and gates. children use words such as high/low, large/small when discussing doors and gates they have observed. children discuss and describe examples of collected tools and hardware (hex wrenches, wedge doorstops, rectangular or triangular hinges, etc.) for doors and gates. children say what they would like to find out about doors and gates. children closely study various doors and gates, noticing aspects such as textures, odors, sounds, and visible properties (size, patterns, colors, etc.). children collect and study artifacts and specimens related to doors and gates. children interview experts about doors and gates. children take surveys of peers and family members on topics related to doors and gates. children collaborate to make graphs, charts, or Venn diagrams using information related to doors and gates. children make accurate and detailed pictures or models of doors and gates. children organize drawings, photos, and other documentation to tell the story of their investigation of doors and gates. children predict possible answers to their questions about doors and gates. children ask “what, how, when, or why” questions or state what they want to find out. children design experiments to answer specific questions related to doors and gates. children create items related to doors and gates (a door for a block structure, pretend tools, etc.) for their dramatic play. children take notes and make sketches during field work and use them to report findings to classmates. children notice and discuss differences in their findings (e.g., “The door I sketched has 4 panels. You drew a door that has no panels.”). children help to create displays showing what they have found out about doors and gates. children revisit their initial questions and predictions to discuss how their understandings about doors and gates have changed. children discuss and think about what they especially want others, such as parents or another class, to know about their investigation of doors and gates. children bring ideas and information about doors and gates into their dramatic play. children decide on formats (mural, booklet, video, open house) to use for sharing what they have found out with others. children summarize their knowledge and understandings about doors and gates in ways that are accessible to others (for example, a list, a display of models with explanatory notes, a guided tour of doors in the school building). children talk with each other about the structure of various doors and gates. children explore and discuss properties of a variety of materials (metal, wood, glass, etc.) used to make doors and gates. children discuss what makes certain materials better than others when making doors and gates. children test the strength and durability of different materials (cardboard, wood, etc.) when making models of doors and gates. children test the holding power of glue or fasteners they use when making models of doors and gates. children investigate what is involved in opening and closing doors and gates, including revolving doors, bus doors, and security gates. children investigate sounds (creak, slam, click, etc.) associated with doors and gates. children use magnifiers, binoculars, levels, plumb lines, and other tools to examine various doors and gates. children use string, tape measures, unit cubes, etc., to measure various doors and gates. children use protractors to help them draw objects or measure angles. children weigh hardware and other items used in construction of doors and gates by using balance scales, spring scales, etc. children investigate drills, screwdrivers, and other tools used in making and installing doors and gates. children use digital cameras to record data about doors and gates. with adult help or independently, children use the computer to find and record information about doors and gates. children interview people whose work involves doors and gates (architects, builders, bus drivers, farmers, locksmiths, etc.). children examine the tools used by people who make or repair doors and gates. children report what they have learned from people whose work involves doors and gates. during dramatic play, children take roles of workers who are involved with doors and gates. children investigate prices of various doors, gates, hardware, and tools. children investigate costs of installing doors and gates. children create a time line (with adult help) to show the steps involved in their field work. children bring ideas from their field work into their dramatic play. children can identify doors, gates, and related items in the classroom, on the playground, or at home. children use terms such as beside, across, around, at the top, etc., to describe the location of a particular door or gate. children help make a map of the classroom or other settings, showing where certain doors and gates are located. children interact with a variety of people whose work involves doors or gates. children take surveys of classmates, family members, and neighbors about experiences and habits related to doors and gates (such as “Did you ever pinch your finger in a gate?” or “How many door keys do you have?”). children take a variety of roles in dramatic play related to doors and gates. children explore the use of protractors and other drawing aids when drawing doors and gates. children make signs, etc., for dramatic play related to doors and gates. children explore how their bodies move when opening or closing doors or gates. children pretend to use doors or gates during creative movement activities. children discuss which parts of the body are involved in locking, unlocking, opening, and closing a variety of doors and gates. children use a variety of visual media (painting, photography, videography, sculpture, etc.) to represent what they have learned about doors and gates. children discuss the creative processes (making models, painting, dramatics, etc.) involved in representing what they have learned. children talk about the ways that various artists depict or use doors and gates in their work. children use a variety of visual materials to express their ideas, feelings, and new understandings about doors and gates. children use creative movement, drama, and music to express ideas, feelings, and understandings about doors and gates. children involve their families in some activities related to doors and gates. as needed, children try multiple approaches to tasks such as explaining ideas, making graphs, or carrying out experiments. in small groups, children plan ways to investigate doors and gates. with peers, children play games or engage in dramatic play related to doors and gates. children play games with classmates related to doors or gates. children’s dramatic play involves doors or gates.